Watching my six-month-old interact with his great-grandmothers, I felt amazing pride and love. But I was also overcome with sadness. As I saw him being coddled by these wonderful women, I was suddenly confronted with this sad fact: My son’s generation will one day live in a world where no Holocaust survivors remain. When I was a kid in Israel, stories of survival were never far from my mind. In fact, I can’t really remember the first time I learned what the Holocaust was. It was always kind of there, hovering like a dark cloud, impossible to fathom and yet so present, so real. Growing up among Holocaust survivors – both the ones I was related to and ones I was not – I was keenly aware of how human survivors are. The things they did to survive were complex. They were not saints, in my eyes. Instead, I saw them as fighters, emotionally and physically. 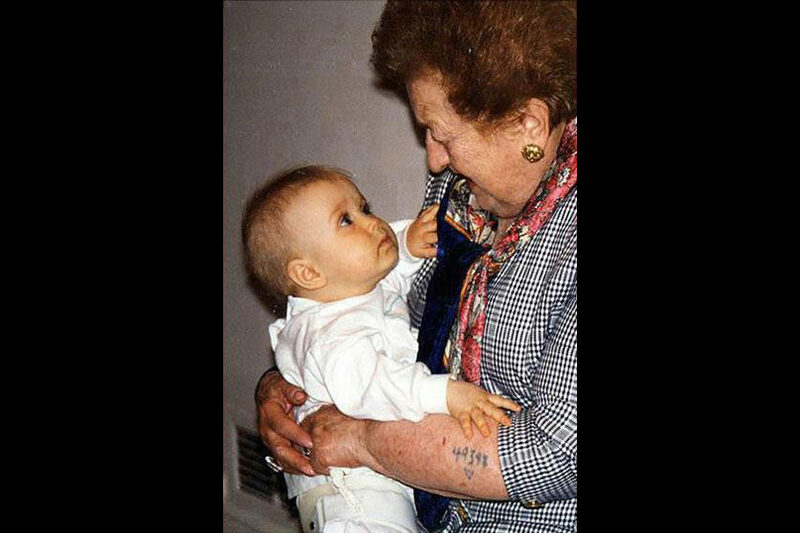 There are also organizations for descendants of Holocaust survivors like Connecticut’s Voices of Hope, which aims to empower grandchildren of survivors like me to preserve and share their family’s stories. My parents tell me they hope my son will grow up having knowledge of the Holocaust – but to them, there is also a silver lining in that he will grow in a generation even more distant from the Holocaust, at least on a personal level. Like me – and unlike my son – they grew up in Israel, and many of their friends were the children of survivors. There was an emotional price to pay to being a second generation to the Holocaust, growing up in a house where the trauma was ever present, where fear of survival was constant, where parents either didn’t speak of their past or, conversely, spoke too much. But they’re also worried about a near-future without Holocaust survivors – a world in which rising nationalism, racism, antisemitism, and a host of other “isms,” seems to indicate we’ve collectively forgotten our history lessons. But in us – my siblings, my cousins and my son – there is a reminder to remember, alongside a constant affront to Hitler’s plan to wipe Jews off the planet. And perhaps those of us with young, fourth-generation kids can find comfort in this: The mere existence of our children has everything to do with our grandparents’ survival stories. And whether or not our grandparents will be here to share their experiences with our children, it is through us that we will continue to honor their legacy. CAP: A framed copy of this photo is located at the Woodlands Community Temple in White Plains, New York.